This Napoleon was one of the four architects of Operation Koh Paima, commonly known as the Kargil operation. Her work is the first critical book-length account not just of the operation but also its aftermath, which led to a coup. Ironically, the cabal, which should have been tried for tactical and strategic idiocy, went up the totem pole. One of them, then Chief of Army Staff Pervez Musharraf entrenched himself as the president of this country. His Chief of General Staff Aziz Khan became a four-star general and the Chairman Joint Chiefs of Staff Committee. Javed Hasan became a three-star general and went on to head the National Defence University and, later, the Administrative Staff College. Commander 10 Corps Mahmud Ahmed was made director-general of the Inter-Services Intelligence (ISI). The civilians were ousted and several, including then prime minister Nawaz Sharif, ended up in jail. Who says failure is an orphan? India set up a Kargil Commission to look into how and why its strategic intelligence failed so badly, why its military response was so slow and sloppy in the beginning, the problems of interoperability between the army and the air force, the high Indian casualties and the flaws in logistics and leadership in the field. The commission was headed by a civilian, not a military officer. Its mandate was wide and deep. It went into every little detail, from the tactical to the strategic. It calculated any future threat and recommended force reconfiguration, etcetera. And – this is the best part – it made its report public. In short, that country tried to learn its lessons. No such thing happened, or could happen, in Pakistan. Instead, as Zehra’s book title says, what began as a covert, unauthorised, illegal military operation, outside the purview not only of civilian principals but also without the knowledge of the Pakistan Air Force and the Pakistan Navy and even the military’s own intelligence agencies, led to a military coup and the ouster of a civilian government. Kargil was a taboo subject and remained so for a fairly long time. Sharif had no clue that Pakistani troops had already crossed the LoC and entered Indian-occupied Kashmir. As Zehra mentions, he thought that “small-scale operations could complement his political and diplomatic efforts to move forward on detente and peace with India”. On May 17, the prime minister was given a detailed briefing at Ojhri Camp where the chiefs of the air force and the navy were also taken into confidence. A second briefing was given in February and a third on March 13 by then major-general Jamshed Gulzar of the ISI. These briefings were completely unrelated to Operation Koh Paima or its specifics. Reason: the ISI, as also the Military Intelligence (MI), had no idea about the operation. At one of these briefings, Musharraf proposed that militants scale up their operations in Kashmir. He also suggested that they be provided Stinger surface-to-air missiles. Former lieutenant-general and cabinet member Majeed Malik strongly objected to the proposal. Theprime minister, however, did not reprimand Musharraf for proposing the induction of a platform that would obviously be considered escalatory by India at a time when the foreign ministers of India and Pakistan were attempting to carry forward gains from the Lahore Declaration, held earlier the same year between Nawaz Sharif and his Indian counterpart Atal Bihari Vajpayee. Zehra calls it “divergent tracks”. 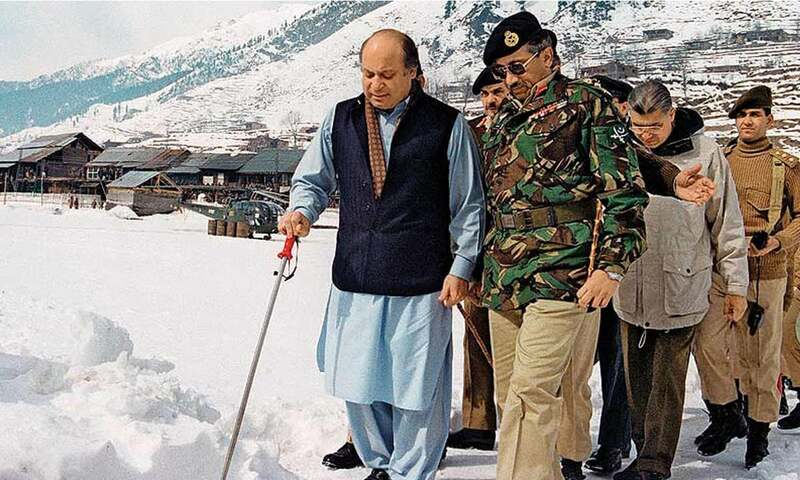 The Kargil cabal was pushing Pakistan and Nawaz Sharif into a direction that ran completely opposite to what Sharif was trying to achieve through the dialogue process initiated subsequent to Vajpayee’s visit to Lahore in February 1999. The irony is that similar plans to occupy strategic peaks along the LoC had previously been rejected at least three times. It was not until May 16, 1999 that the cabal decided, with reports pouring in from the Indian media of skirmishes in Kargil, Dras and Batalik sectors along the LoC, to explain what had been planned and what was happening. Finally, on May 17, the prime minister was given a detailed briefing at Ojhri Camp where the chiefs of the air force and the navy were also taken into confidence. But still there was no mention of Pakistani troops having crossed the LoC. Those present at the briefing were told that the battle reports were all about heightened activity by militants who had occupied impregnable heights in the area while the army was providing them logistical support. Sharif was also told that he would be remembered as Fatahi Kashmir (the conqueror of Kashmir). Unable to understand the operational maps used for the briefing, unable to figure out what the line on the map meant in terms of real distances on the ground, or what the military symbols signified, he was given the impression that “the strategic heights lay somewhere in the un-demarcated zones”. Prussian officer and war theoretician, Carl von Clausewitz, wrote about war’s “triple nature”: its first level pertains to the primitive violence of people — that is, the ability to take risks and the willingness to kill; the second involves managing violence and harnessing it towards an aim — the job of military commanders; the third is a political level where a government determines the ultimate objective of a war because no clash of arms is an end in itself. Clausewitz also understood that there would be tension between the first and the second levels as well as between the second and the third ones. But they all need to be taken together because that is what constitutes the grammar of war. He used two terms, Zweck und Ziel, to explain these dynamics. Zweck is the purpose, the political objective, for which a war is being fought; Ziel is the aim of various battles in that war and how they are to be conducted to achieve the war’s political end. Going by this formation, Ziel must add up to Zweck. Kargil upended this entire logic. 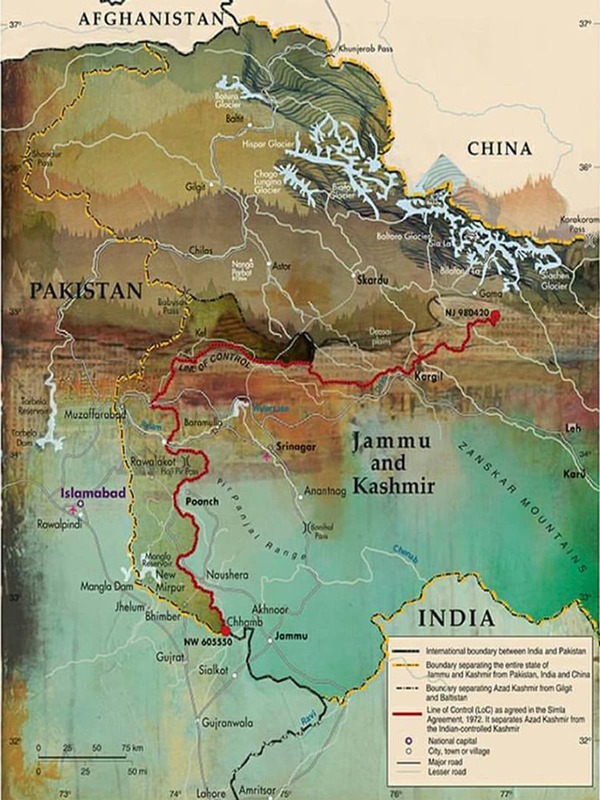 The cabal’s assumptions – that Operation Koh Paima will bring the Kashmir dispute into sharp focus, that India will either swallow the occupation of Kargil heights or not fight back in any systemic way, that there was no possibility of India using its air force, that international arbiters, given the presence of nuclear weapons in both India and Pakistan, would seek de-escalation in Pakistan’s favour – were all deeply flawed and betrayed a poor understanding of the environment in which the operation was launched. Of course, there were officers who realised the folly of these ‘paper tigers’, as the late lieutenant-general Iftikhar Ali Khan, who was working as the defence secretary at the time, described them to Nawaz Sharif. But they could not do much because the gang of four had given everyone a fait accompli. Zehra’s book does not theorise about civil-military relations. Nor does it go into the theory of decision-making. It offers the reader a story, a thrilling one which is replete with information. But because the story unfolds as it does, one can clearly see the dynamics of a system where the generals exercise a reach far beyond their remit. In equal measure, it throws light on how civilian principals are used to pull the chestnuts out of fire and then scapegoated. This is a story which provides ample raw material to a theorist of civil-military relations. The only downside of the book is its editing. It is replete with typos, transpositional errors and poor syntax. Of course, a thorough re-editing and proofing can fix all this. One hopes that the second edition of this remarkable book will be put through a rigorous editing process so that it comes out cleansed and fresh. This was originally published in the August 2018 issue of the Herald. To read more subscribe to the Herald in print. Seems like a book worth reading! Hmm. Seems to be an interesting piece of work. Worth reading maybe. A book giving insight of kargil ops and how MNS was kept in dark but its writer was not able to get it properly edited nor in a correct syntax. Speaks of authenticity of its content, and level of author herself. This is what is called fake news. Who is paying you to write this ? The very fact that there are people in Pakistan who are in power and who think that having nuclear weapons allows them to attack neighbors and be generally belligerent, IS the reason why the world is unhappy with Pakistan's acquisition of nuclear weapons. Musharaf should be held accountable for all the casualities in both Pakistan and India. He should be prosecuted for his misadventure and jailed. Please read a ridge too far! Musharraf is a great leader. Most Pakistani respect him. 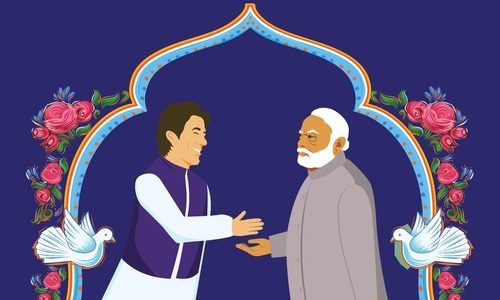 What does "Koi Paima" mean? What language is this? Pashtu/Dari? Brilliant ( and brave ) commentary. Truly an eye opener for the public . Thank you ! @GAURAV stupid indian dont know the facts. @Narejo, Who told you MNS was kept in dark? If he was, which I don't believe, but was very good he was kept in dark. @Adnan 2 Then why he is absconding? Zehra is incorrect in many ways. Investigations are necessary. @Vijay B. koh means mountain and paima is one who scales.That means mountaineer. @Vijay B. It is a Persian word and closest meaning is " mountain climber". @Vijay B. Koh paima means mountaineer. Comes from farsi but widely used in Urdu. @Vijay B. Koh Paima is "Mountaineer". This is an Urdu word, i believe with Persian roots. Nawaz both knew very little, and understood so little of the KO that one wonders how he managed to run the country for so long..
Had KO gone successful one is apt to wonder what would Nawaz make of that success..
@Vijay B. Koh Paimaa means mountaineer. @sourav ghosh Truth based on your media misinformation. So what were the achievements of Kargil war for Pakistan? @Vijay B. Koh Paima means the one who climbs the mountain. Koh means mountain. It is used in Urdu language but the roots might be from Iranian or other language. Agree. Nobody who intentionally puts young lives & families at risk for a game should be loved. Now he sits in a foreign country after creating a mess at home, and folks love him ?? Is the book available in market? @ All who kindly explained the meaning of "Koh Paima" to me and many others. Thank you. Learn something every day. Pakistan's history can be summarized into only two words blunders and surrenders.The biggest problem with Pakistan is that it never learnt anything from its past mistakes.Millions of people were butchered in Bangladesh but nobody was held accountable. Is writer of the book - Nasir Zehra - sufficiently qualified to write on defense themes and war strategies. I think, No. Pakistanis, instead of thanking Nawaz Sharif for his stewardship those days, are baying for his blood and egging on the fundamentalists. @abid . If Zehra is incorrect, please state the correct account, if you know better then for the sake of history it would be your duty to do so. How people like musharaf can attain such a high position is what boggles my mind. The fault also lies with the prime ministers, who appoint lower level generals as their army chiefs. Cutting through the military hierarchy. If there were no investigations, who got you all this information? I agree with the point about a full investigation. We shouldn't push history under the carpet. However, don't agree with the picture of innocence of Nawaz Sharif, that is painted. Nasim Zehra does not have the expertise or knowledge to write this book. @Syed Fahad Anwar: Read the article again carefully and you’ll know who is really stupid!